Promoting choral excellence. Enhancing cultural life. Spring 2019 performances are scheduled for the following dates and venues. Concerts are open to the public and always free-of-charge. Please follow us on Facebook to always stay up to date on Orange Park Chorale concerts and events! 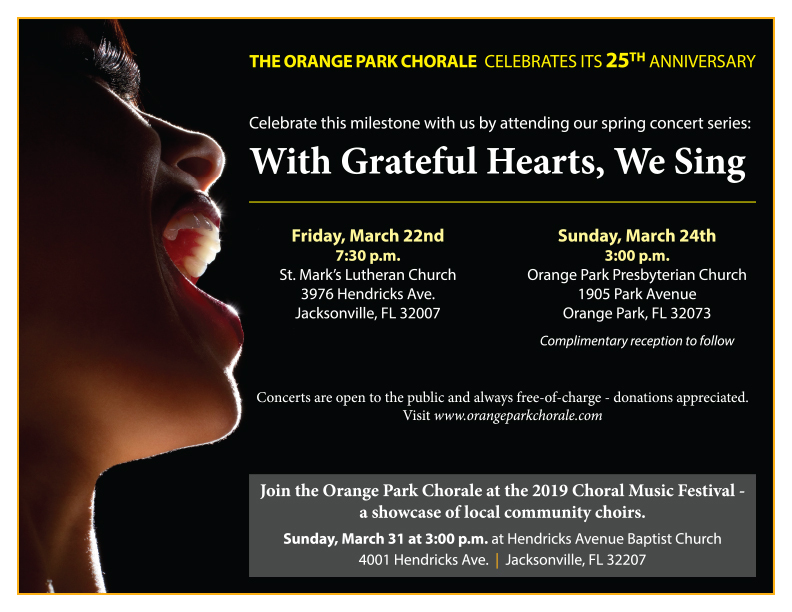 Sing with the Orange Park Chorale! We are always on the lookout for new voices and members! If you love to sing and wish to join the Chorale, let us know and drop us a line!